The nomenclature “rhododendron” was introduced by Linnaeus in 1753 from the Greek word meaning “rose tree” which was probably used to refer to the oleander and there does seem to be a certain resemblance between the leaves.All the photos were taken in our garden. 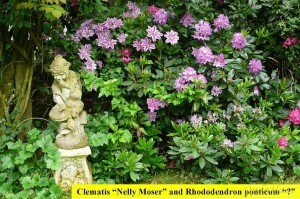 Click on the photos for a larger image and a slideshow . 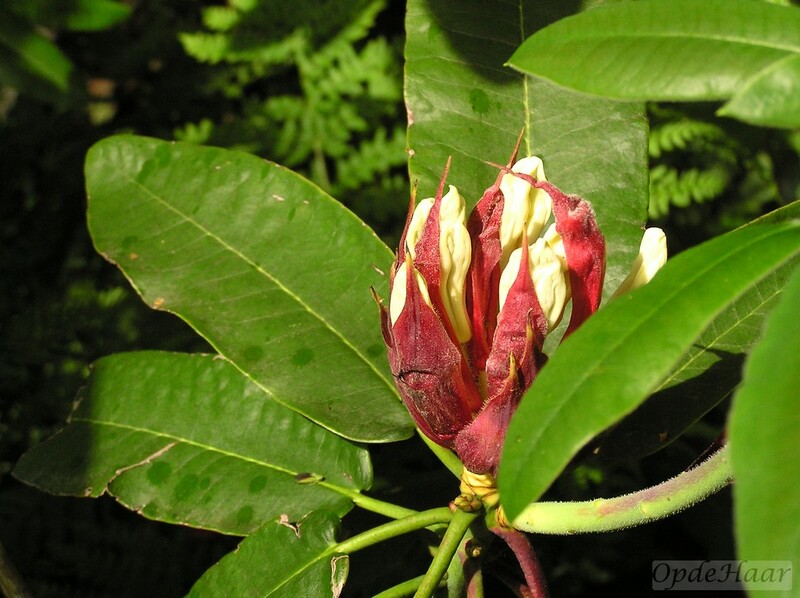 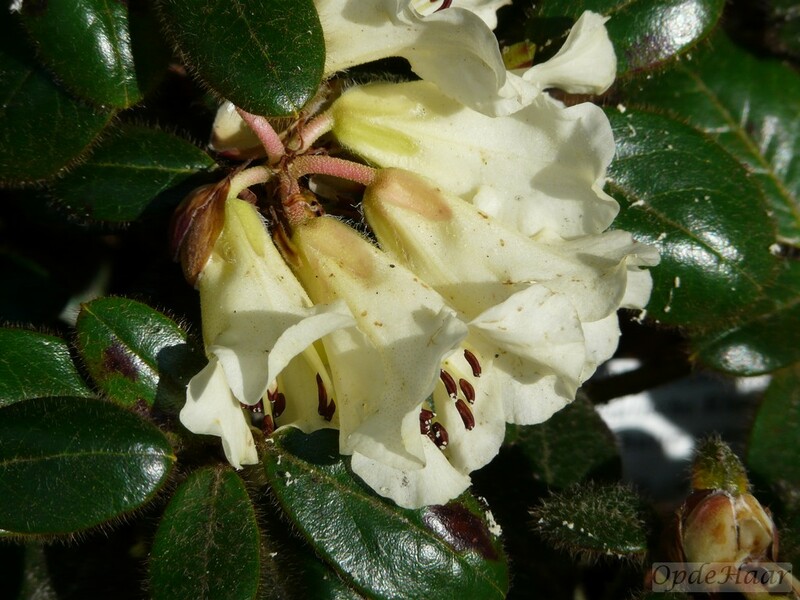 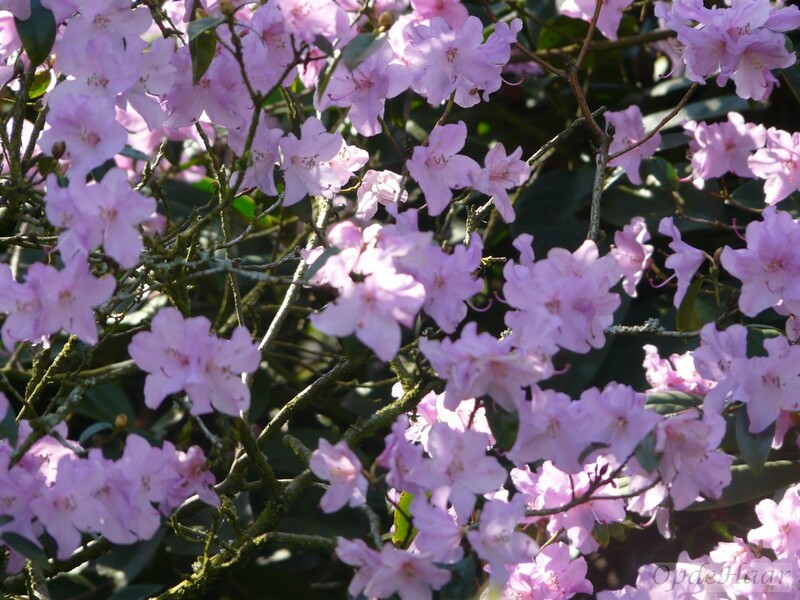 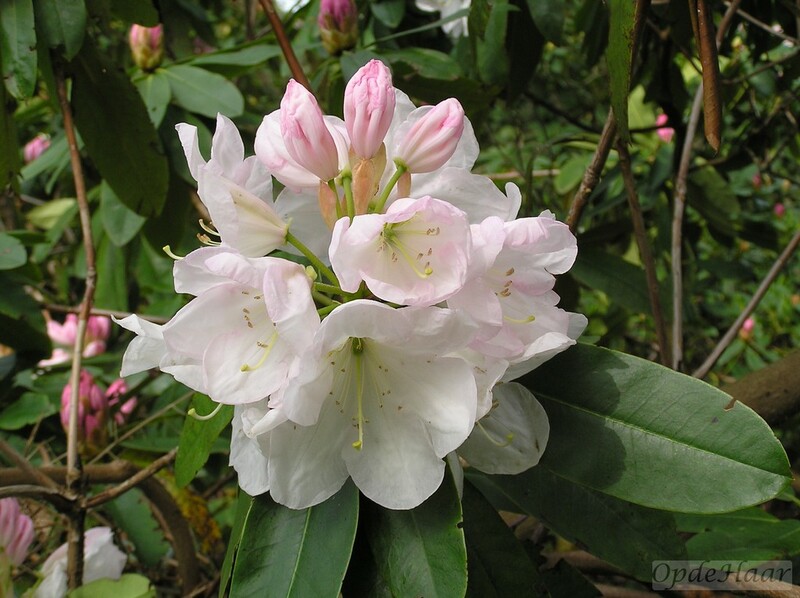 While the focus on flowers is understandable, it needs to be recognised that the flowering season of a rhododendron rarely extends for longer than 3 weeks. 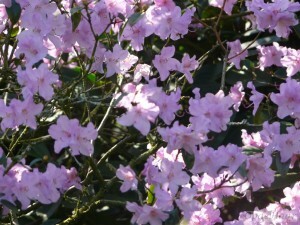 The implication of this is that one has in excess of 11 months of the year to look at the leaves alone. This is why it pays to purchase plants that are attractive in their own right apart from the flowers. 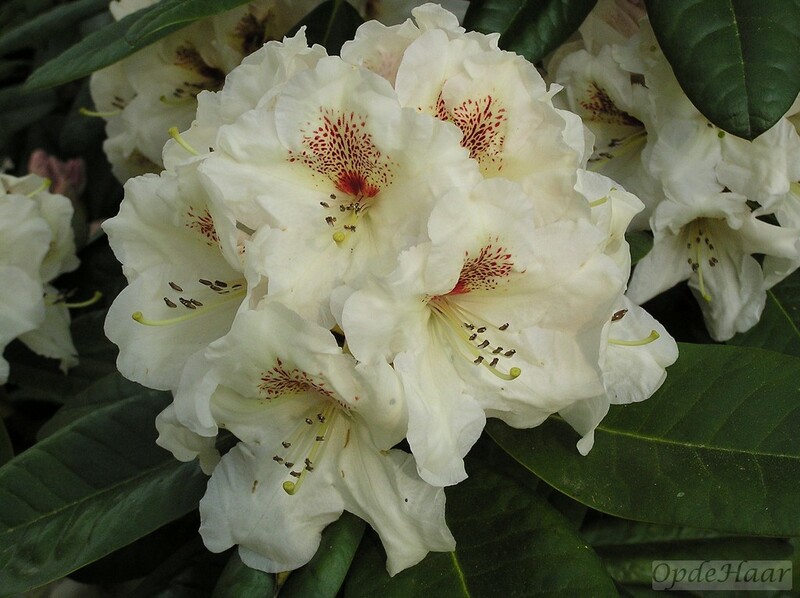 Another obvious but equally overlooked consideration when buying a 50cm plant with gorgeous flowers is how big it will grow. Hybrids reaching in excess of 2-3m. in height and diameter are not uncommon. 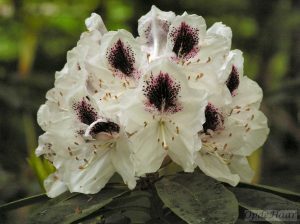 Moreover, many of these larger hybrids basically comprise an outer shell of leaves around an inner skeleton of bare twigs. 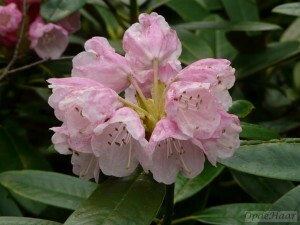 So, be aware and choose your rhododendron with care. 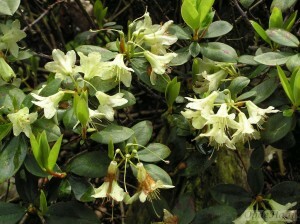 While the hybrids are generally notable for their flowers, the original species from which they arise often have quite attractive leaves with less spectacular blooms. 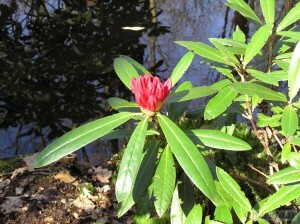 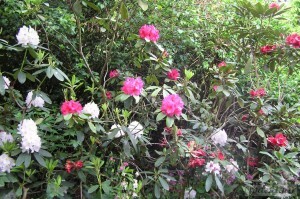 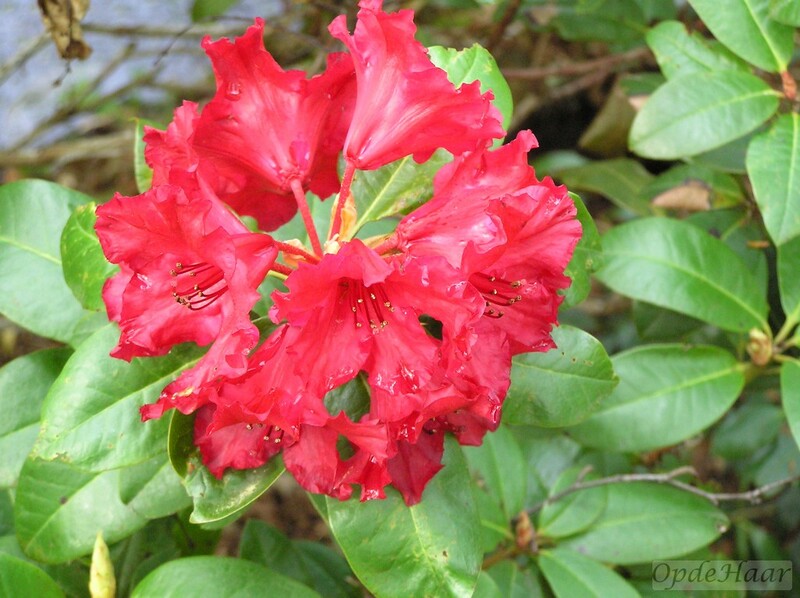 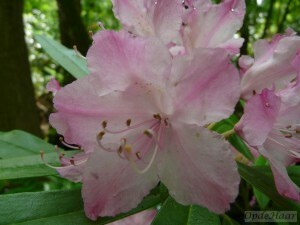 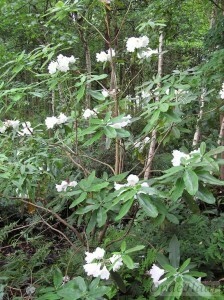 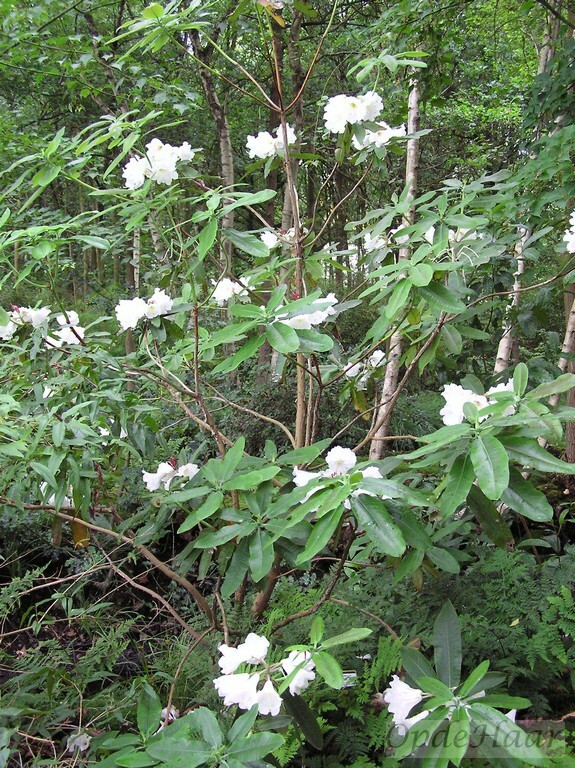 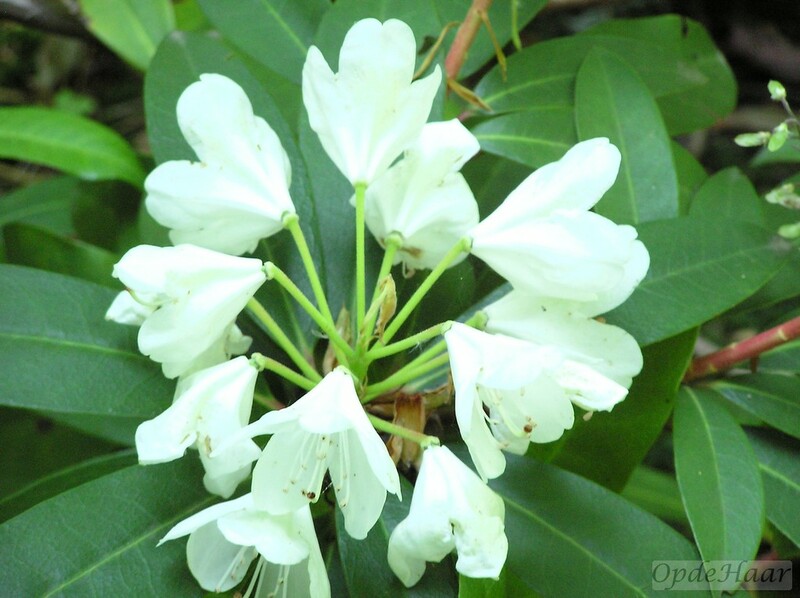 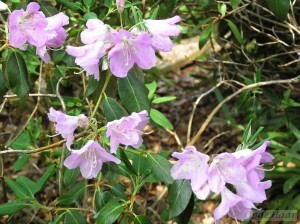 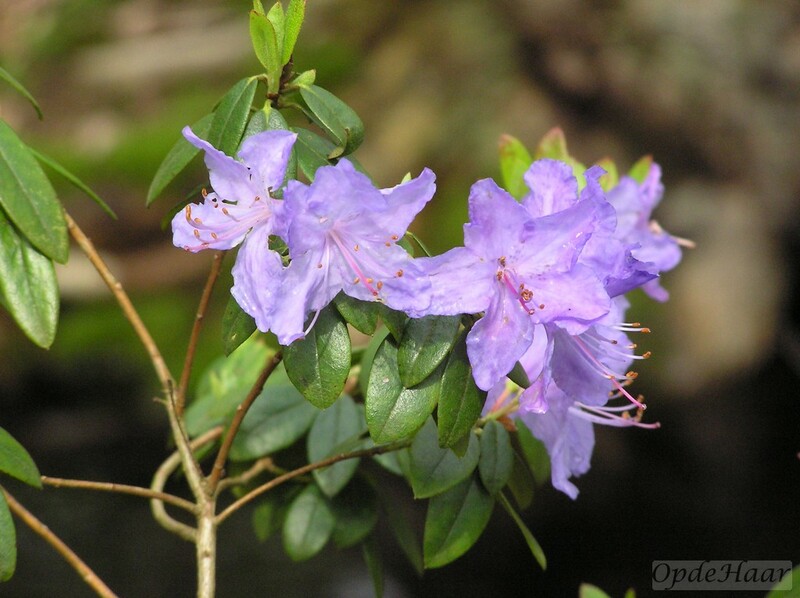 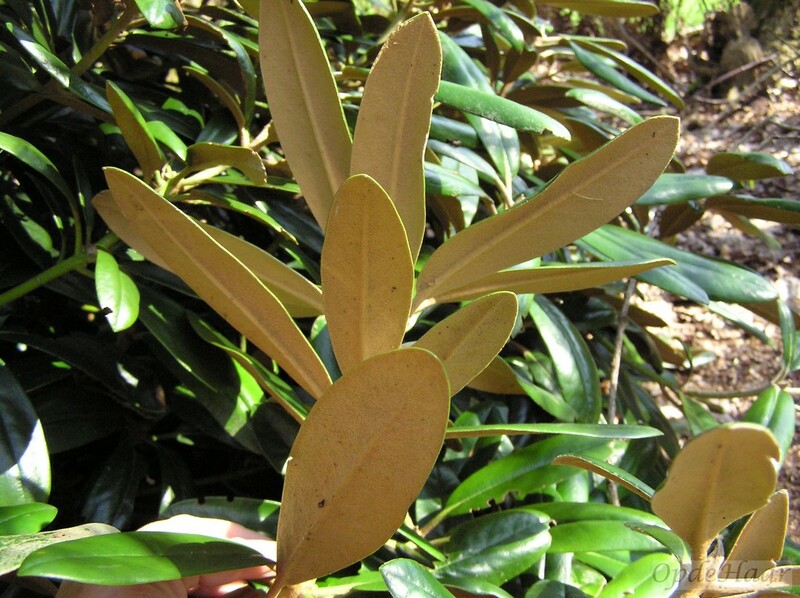 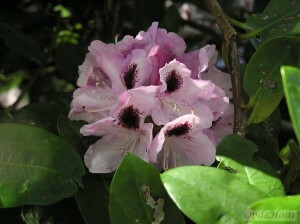 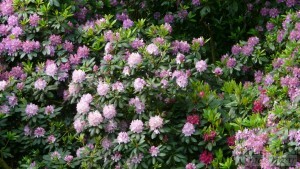 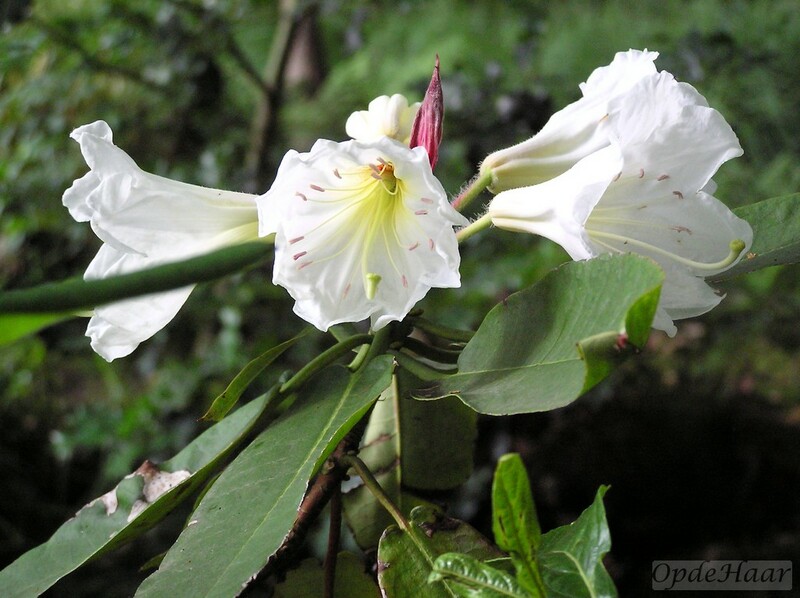 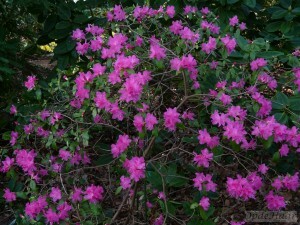 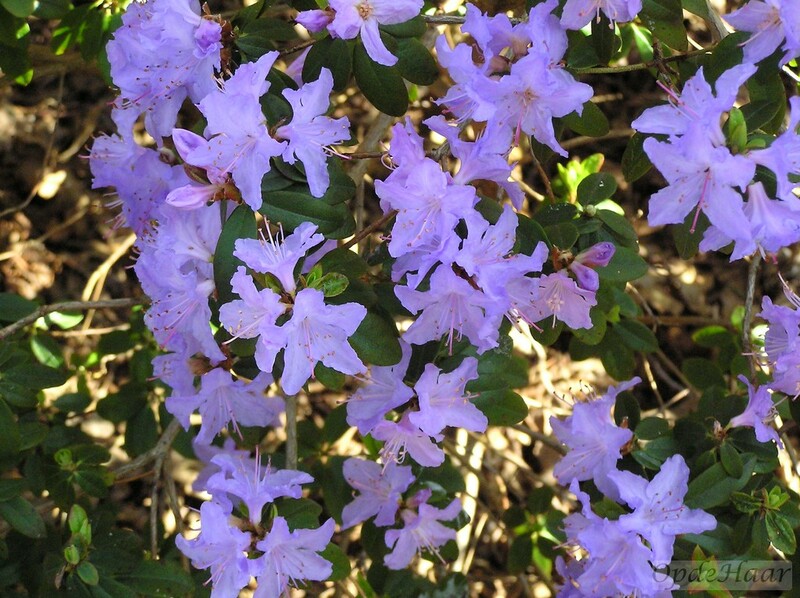 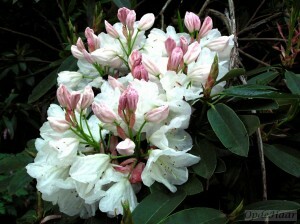 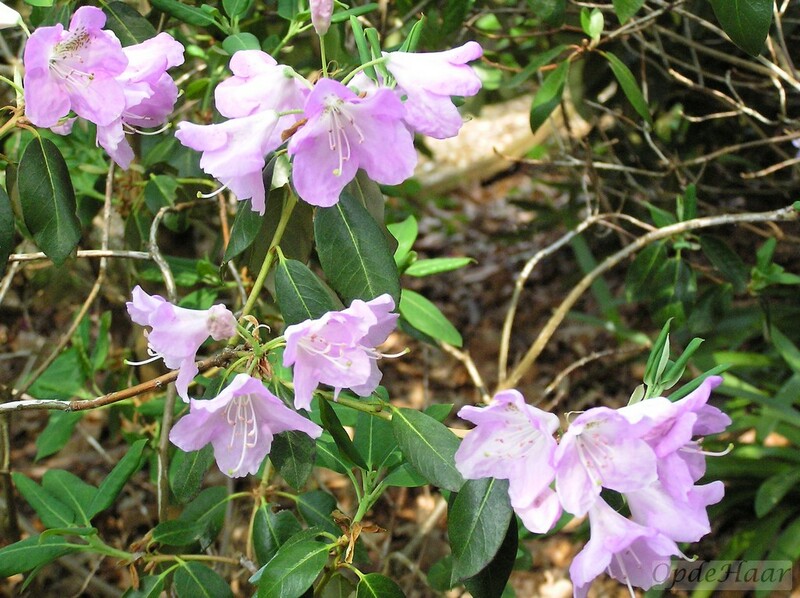 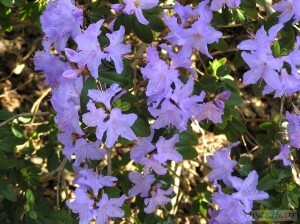 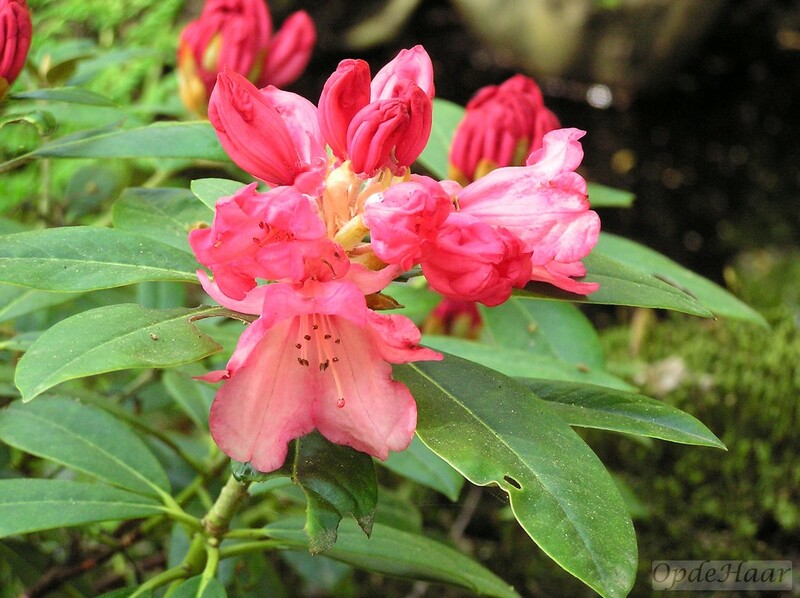 The exception to this rule is Rhododendron yakushimanum, more correctly known as rhododendron degronianum subsp. 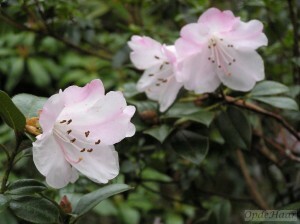 yakushimanum nowadays. 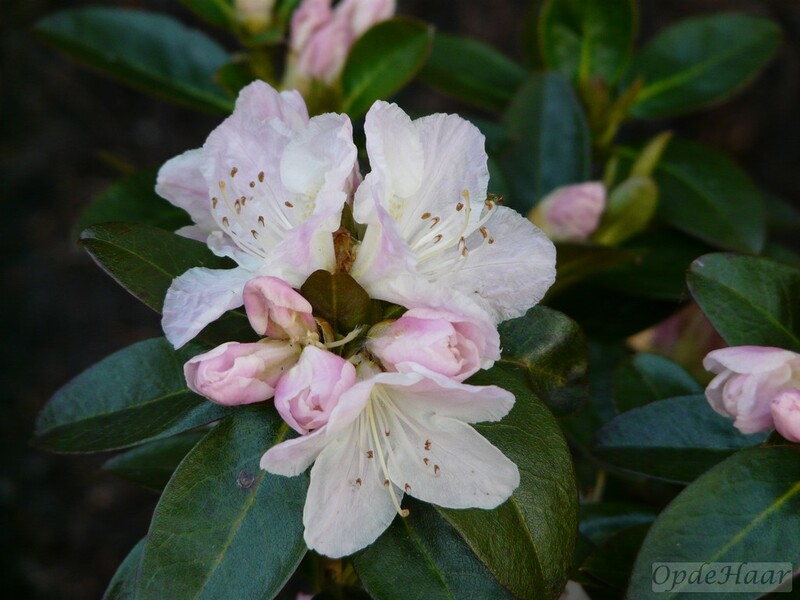 This shrub and its numerous hybrids generally have both attractive leaves and flowers (white, pink, red colourations) and form compact plants which rarely grow much larger than ~1m in circumference. 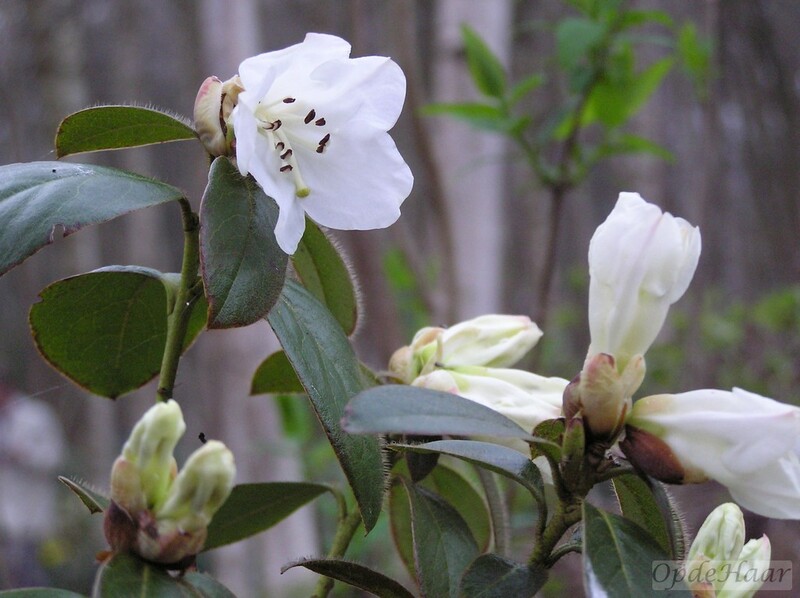 There are numerous examples of yakushimanum and different hybrids throughout the garden but a concentration of them can be found in the southeast corner of the woods near the very large oak tree. Rh. 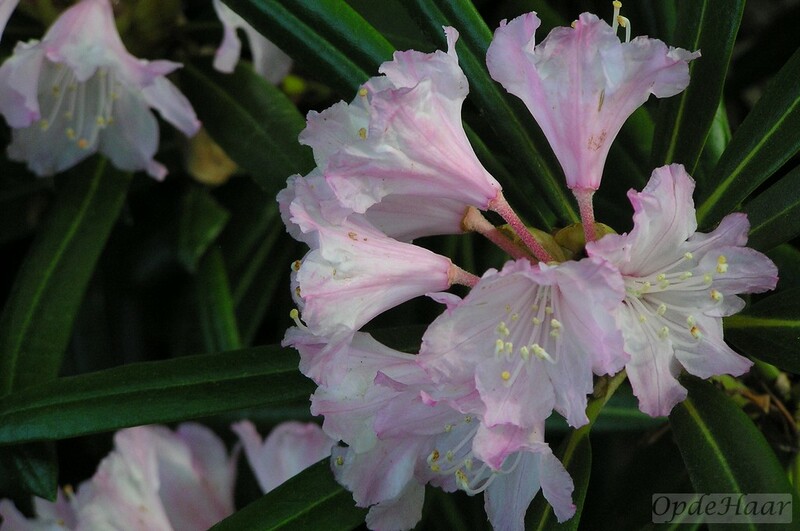 yakushimanum itself and some of its hybrids have a silky smooth covering on the underside of the leaves – just run your finger gently over this “indumentum” to feel what I mean. 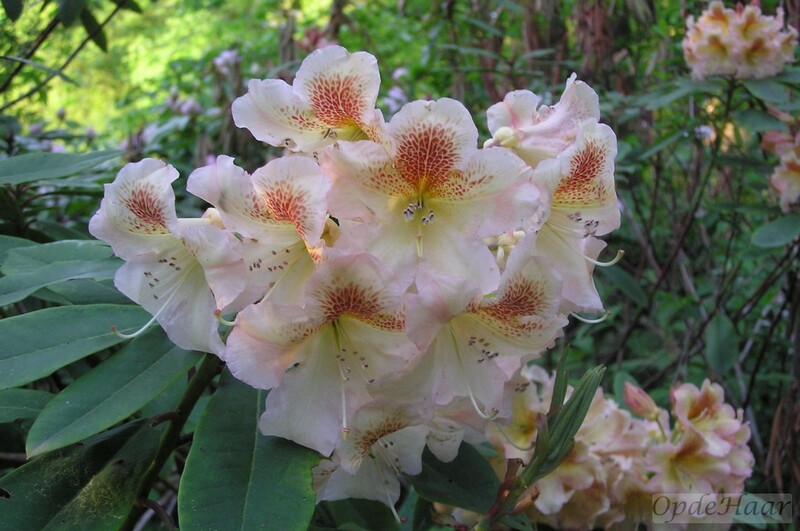 Gardeners wanting to explore flower colours in the yellow-orange portion of the spectrum have a more difficult task in rhododendrons. 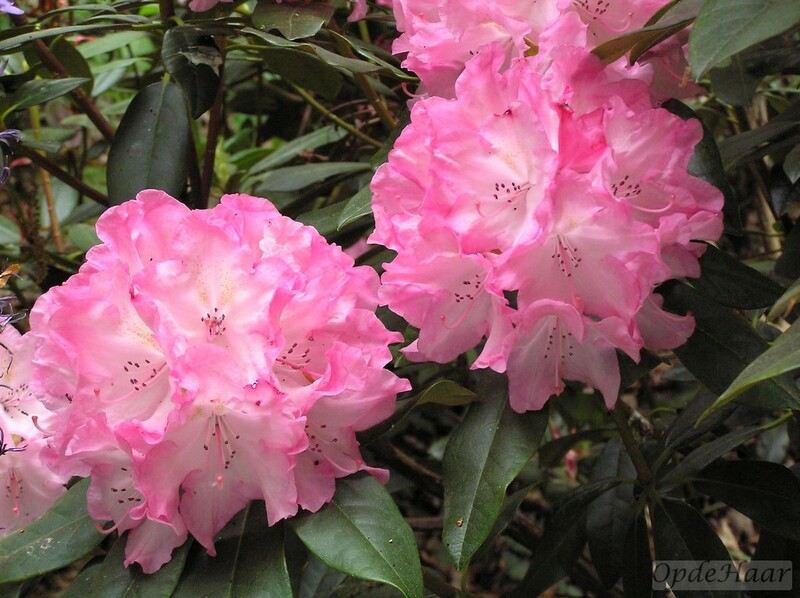 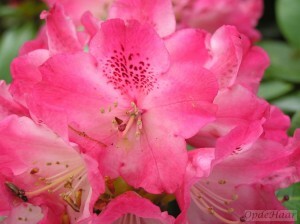 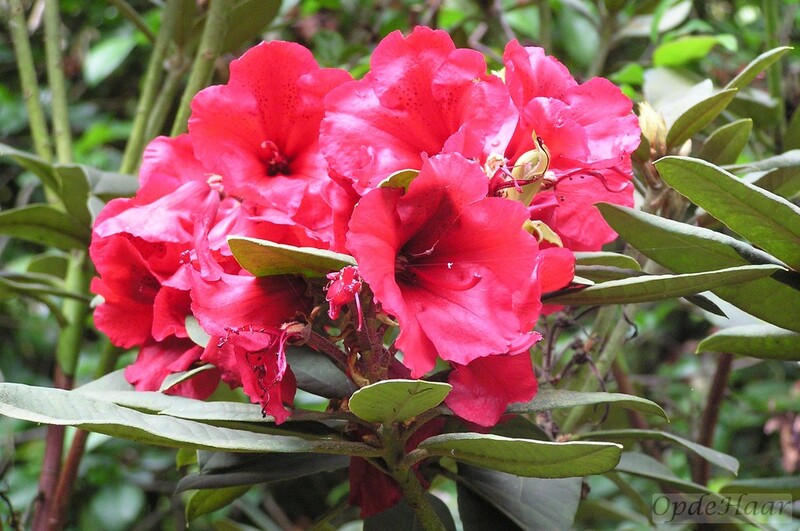 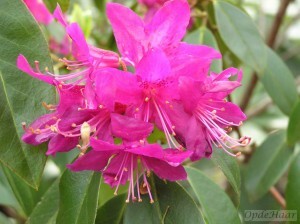 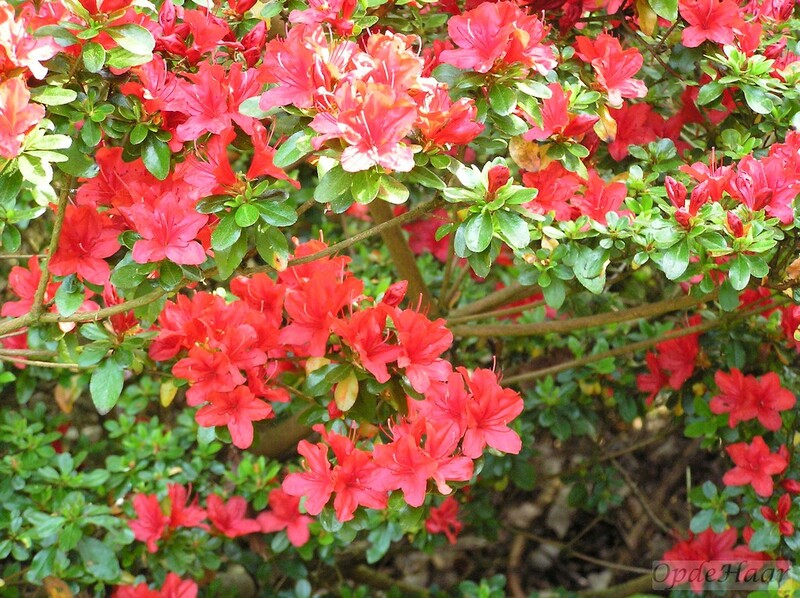 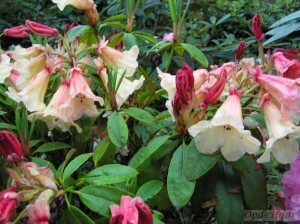 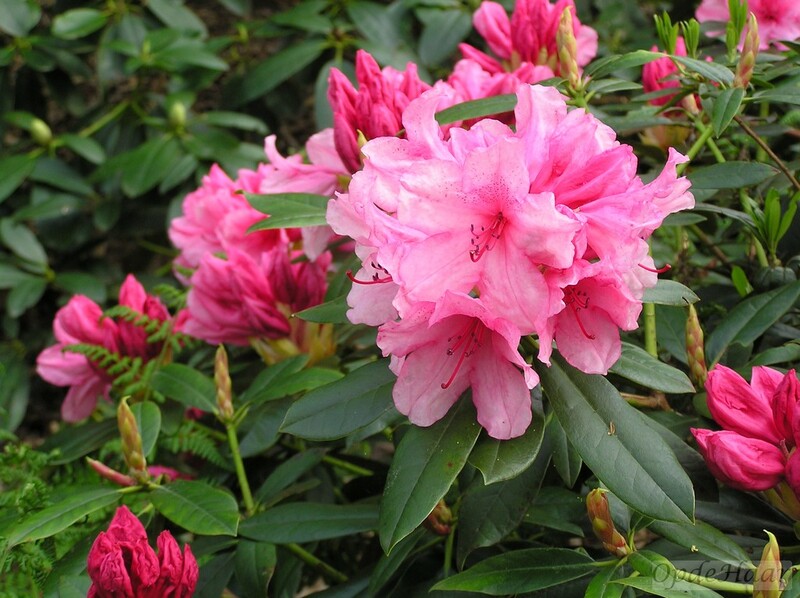 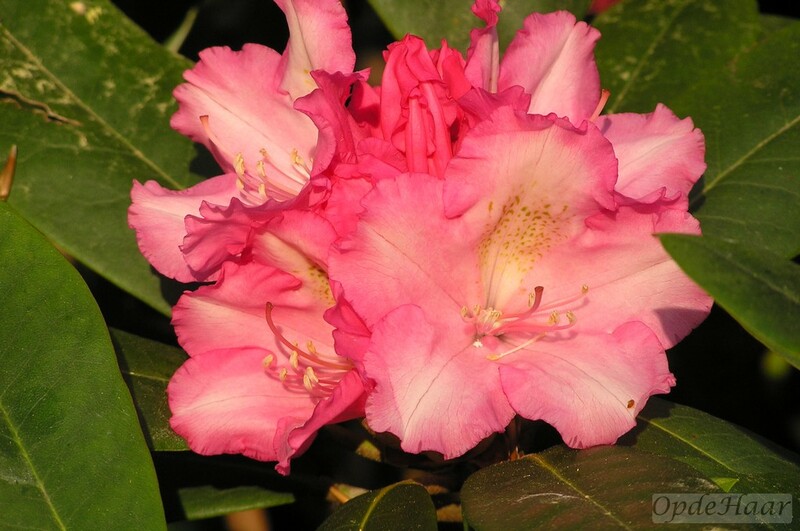 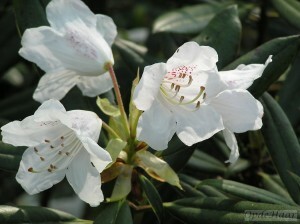 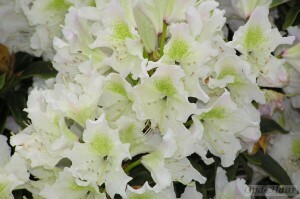 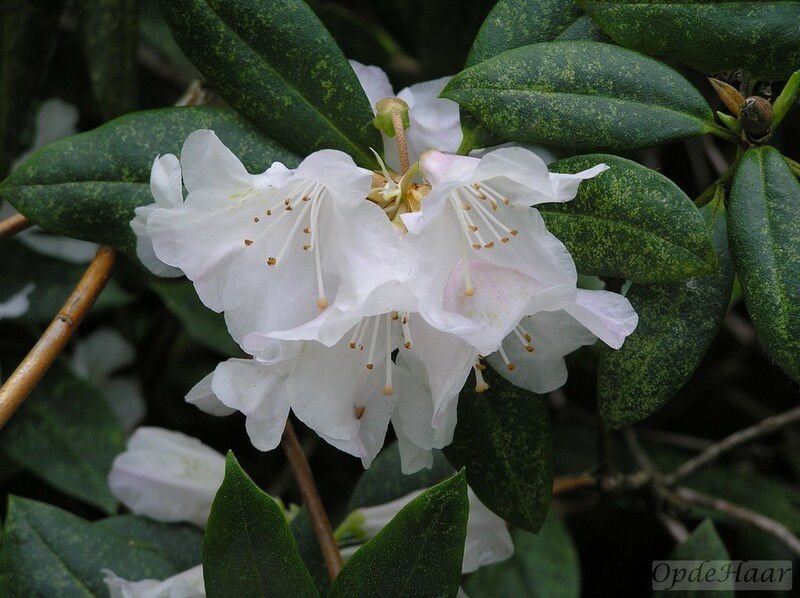 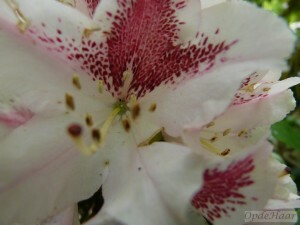 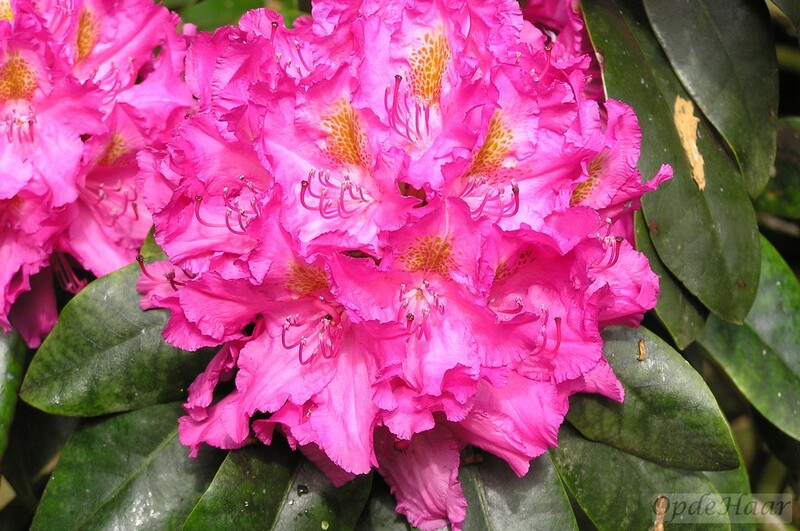 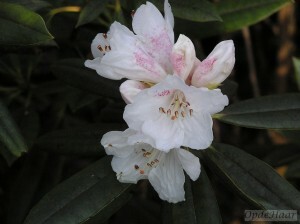 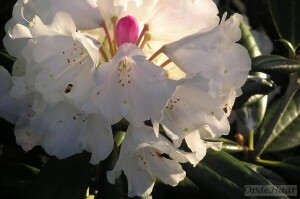 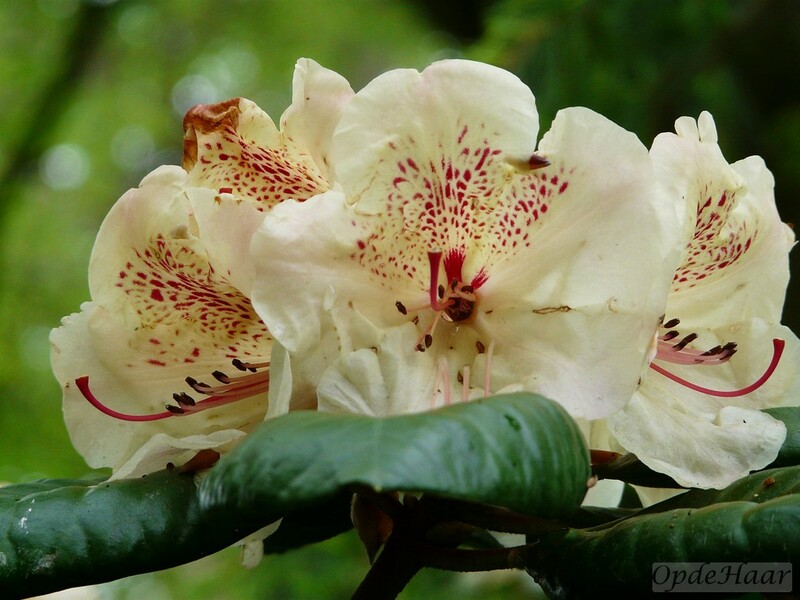 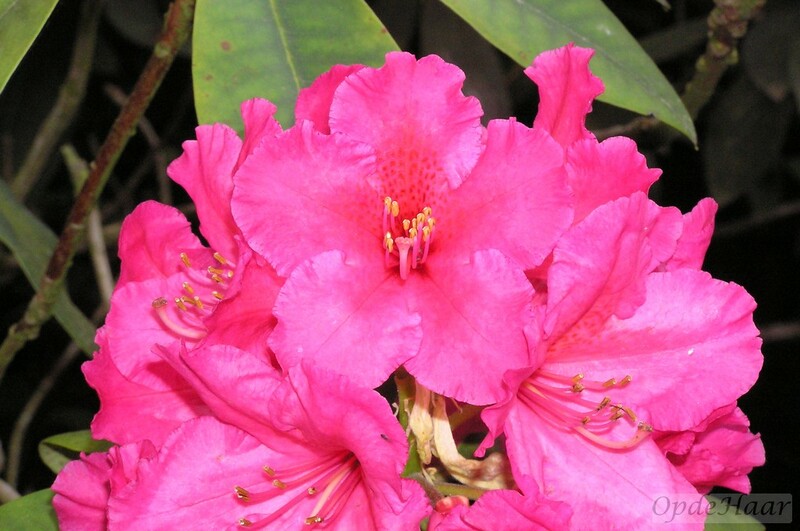 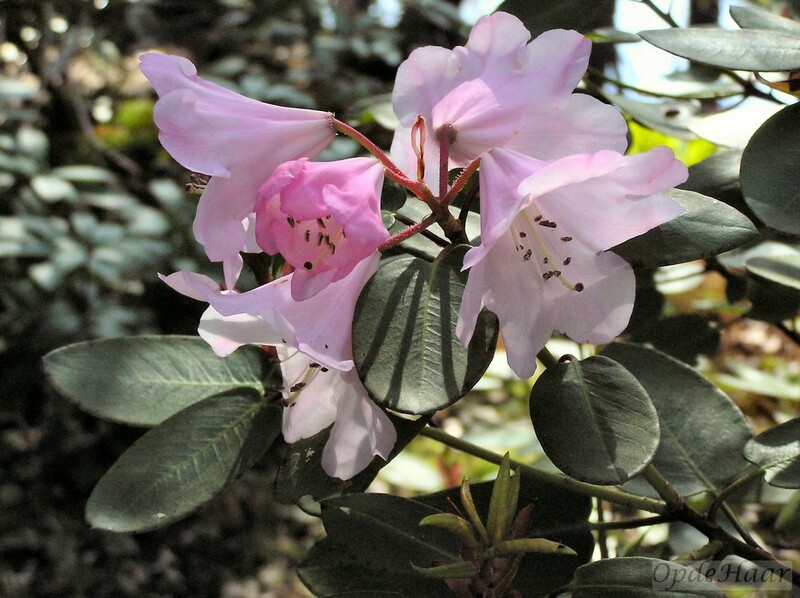 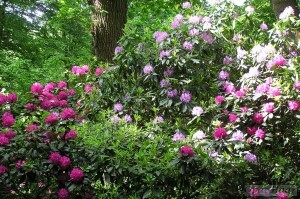 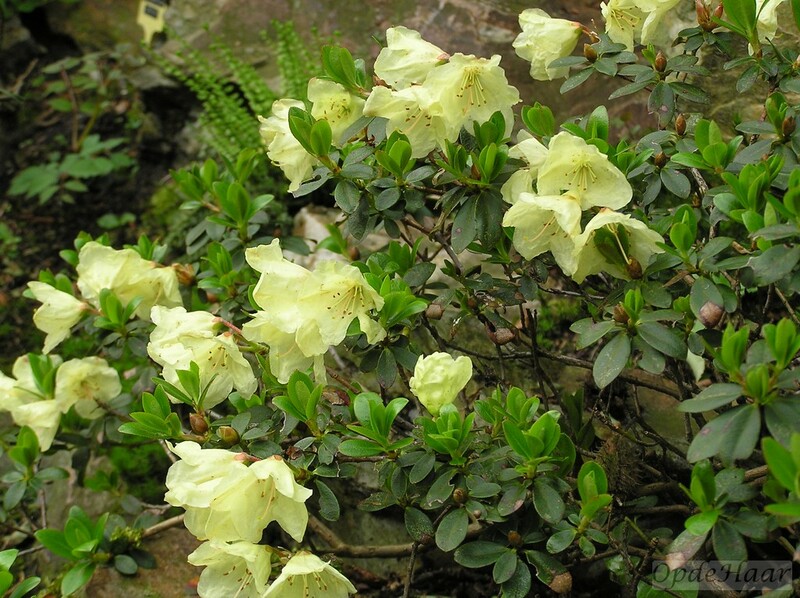 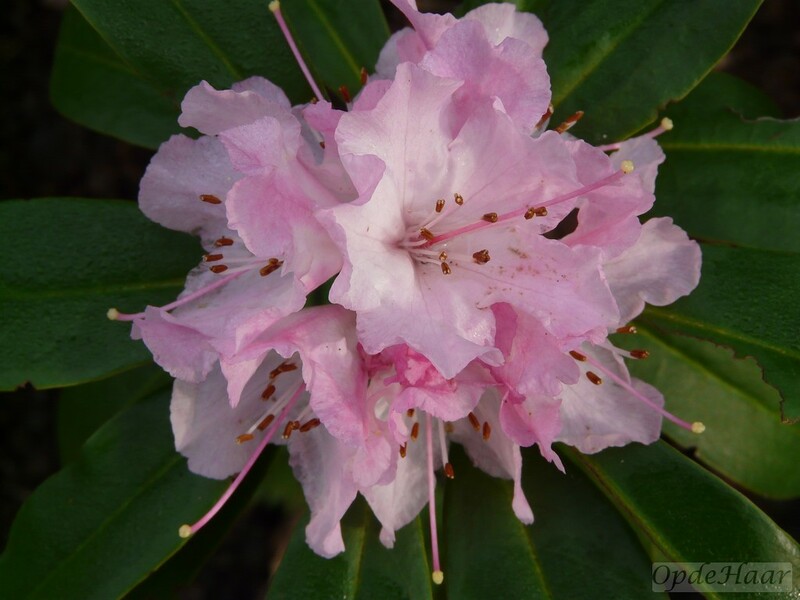 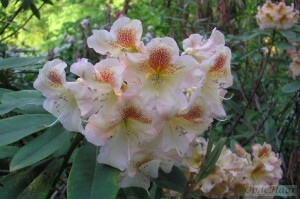 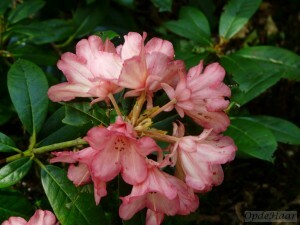 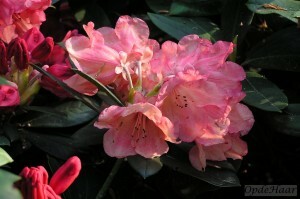 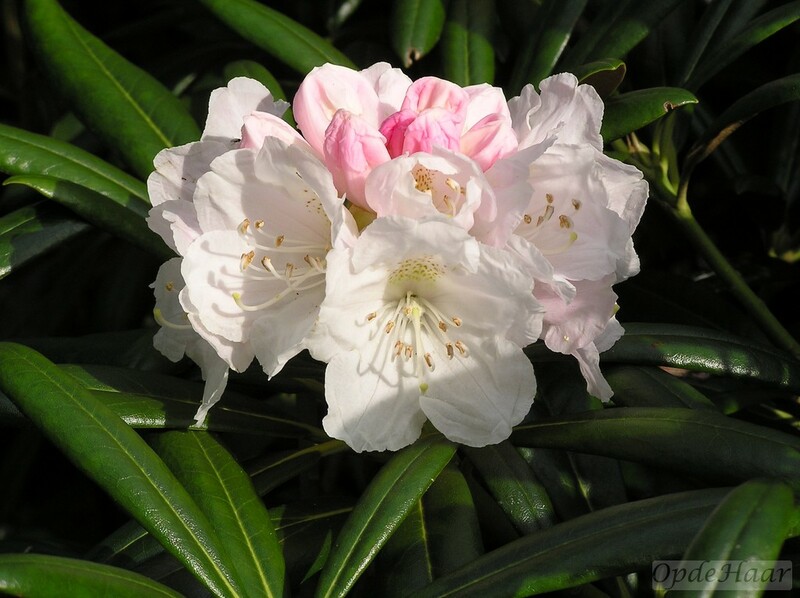 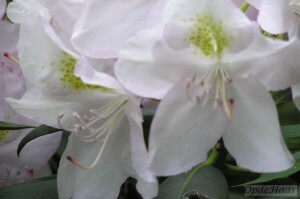 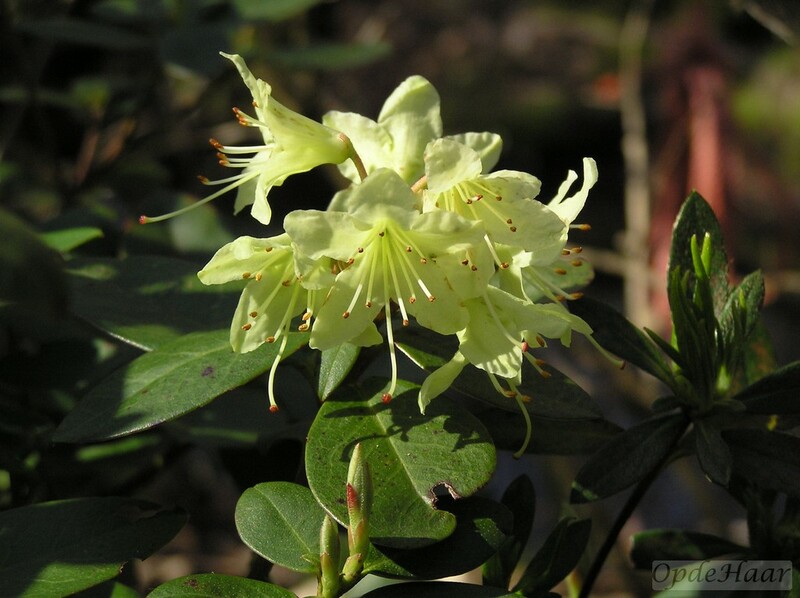 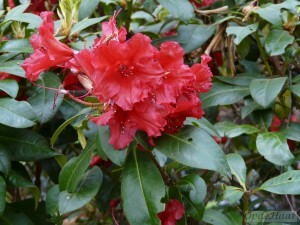 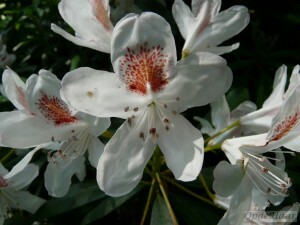 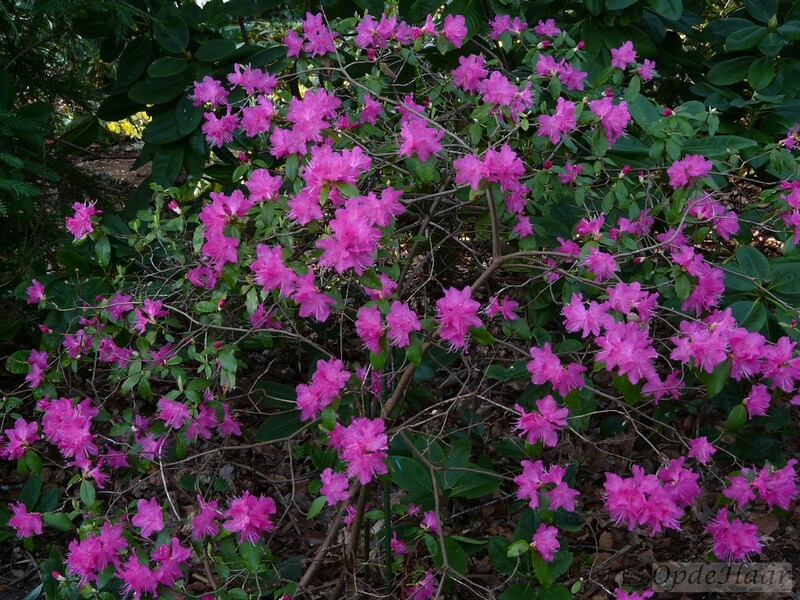 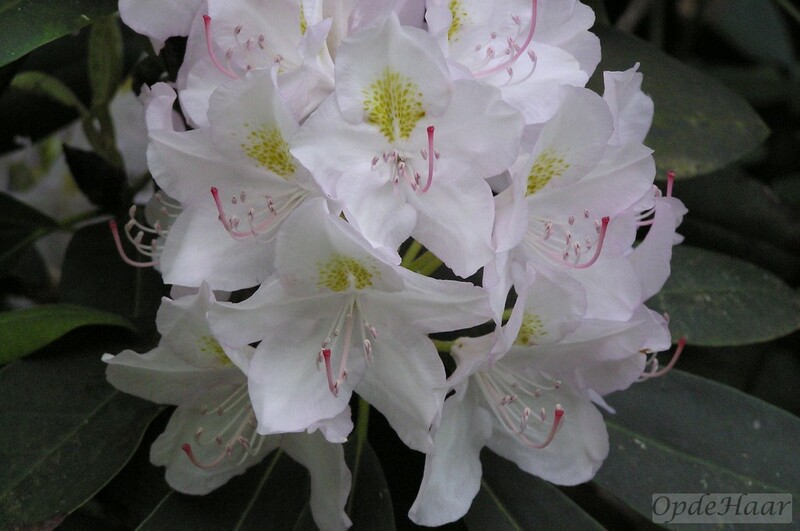 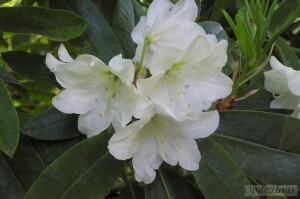 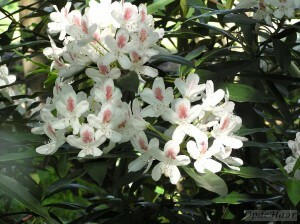 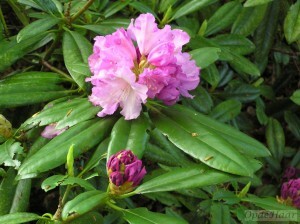 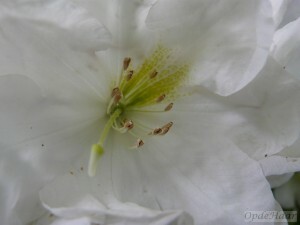 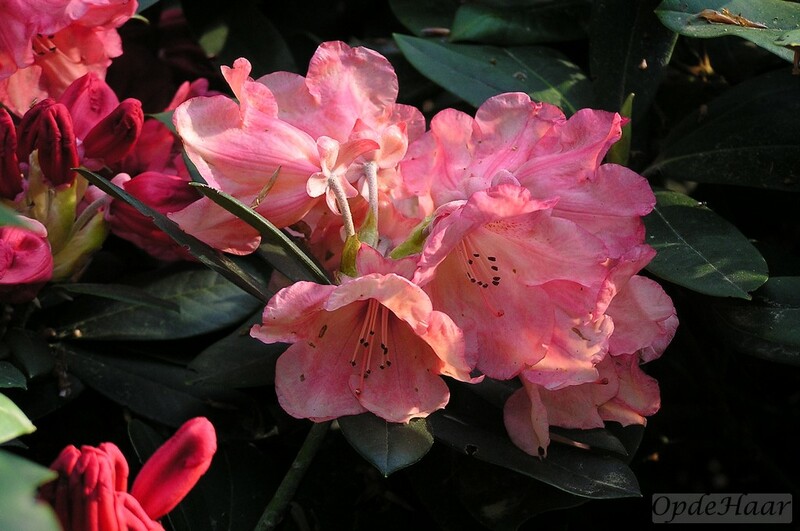 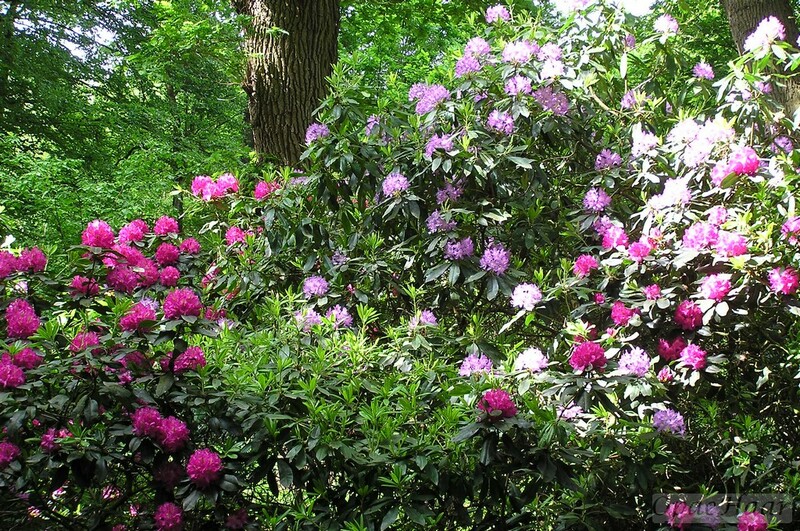 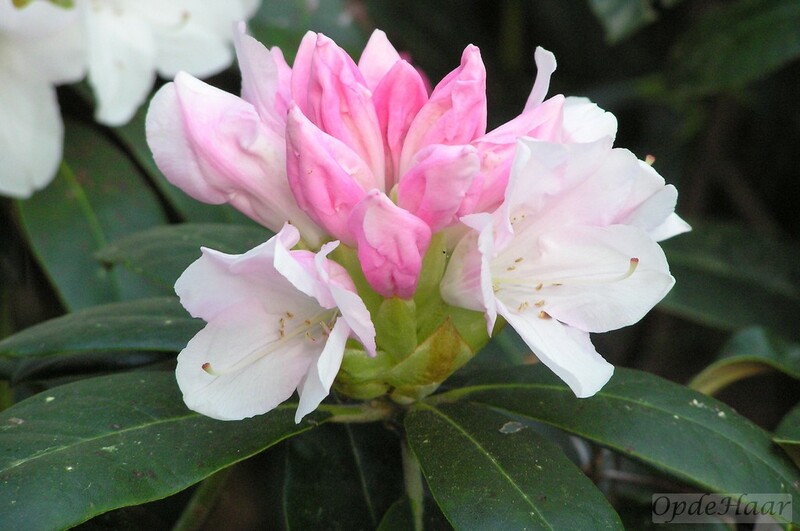 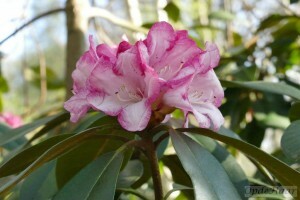 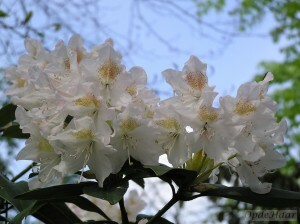 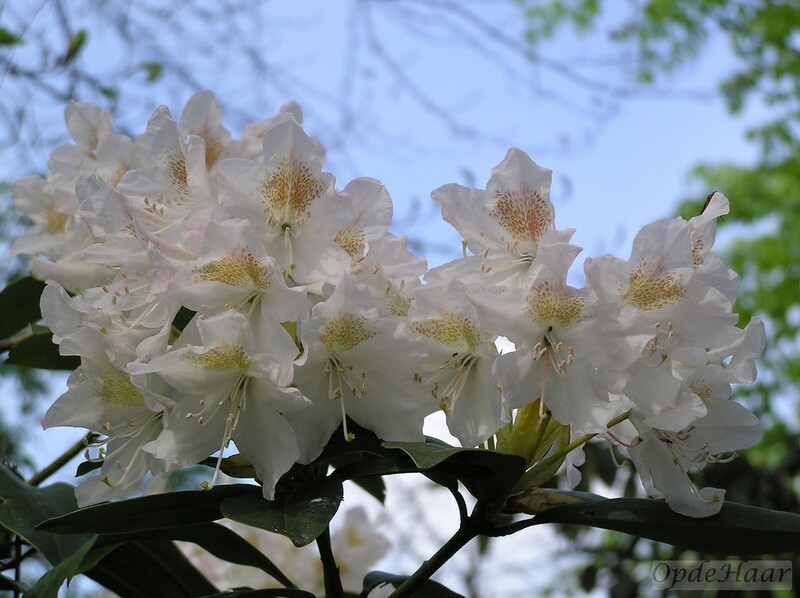 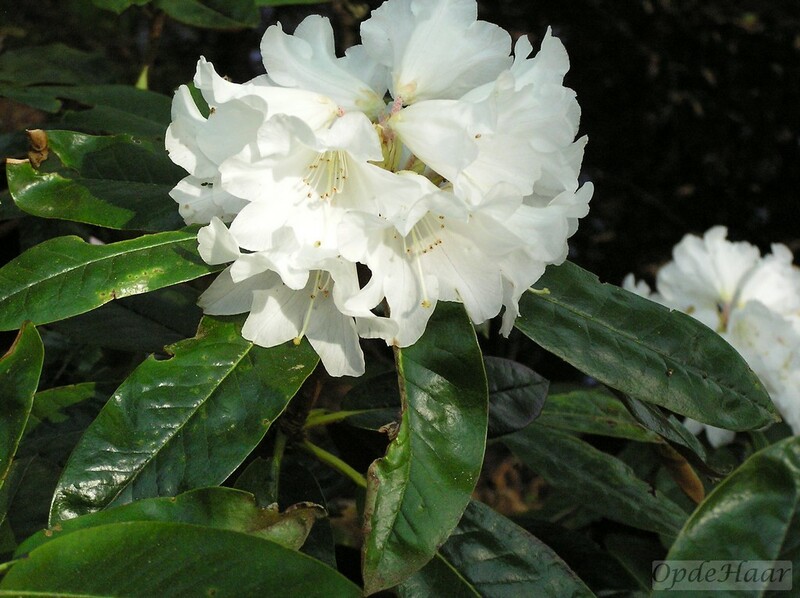 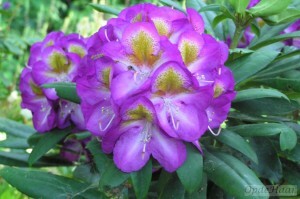 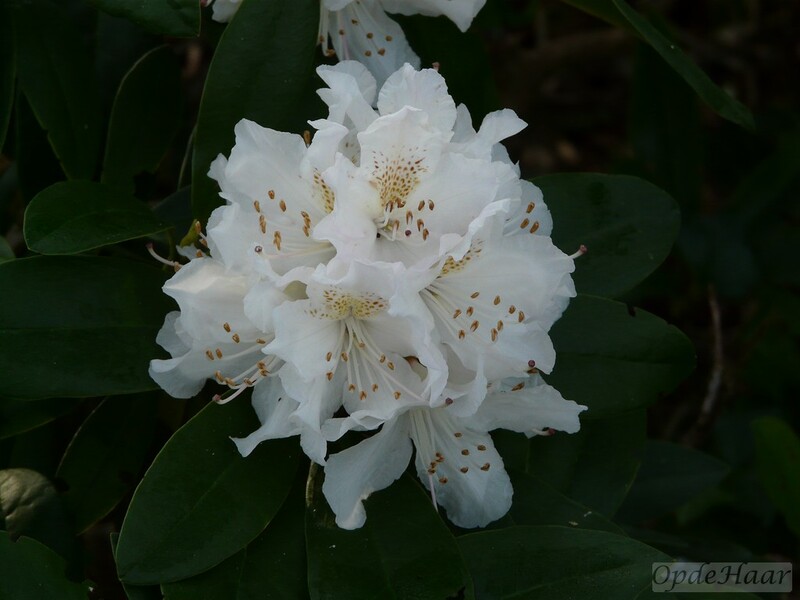 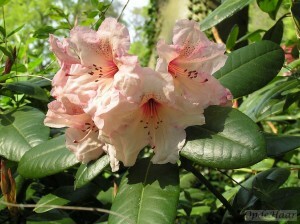 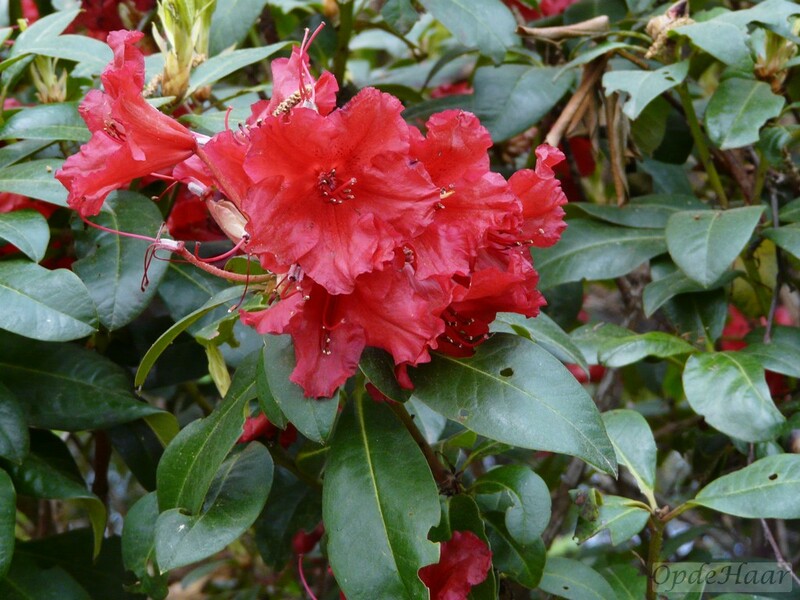 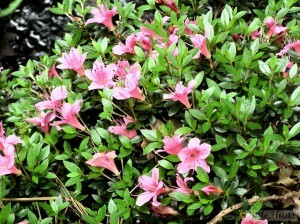 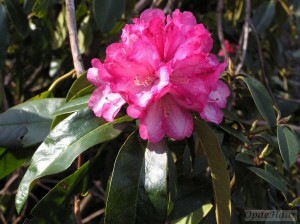 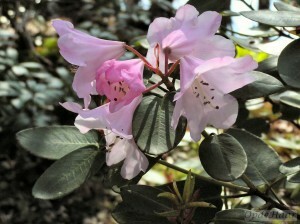 Hybrids such as the now classic Rhododendron “Goldkrone” and Rhododendron“Viscy” often have Rhododendron wardii in their lineage but the plants as a whole lack the attraction of the yakushimanum hybrids. 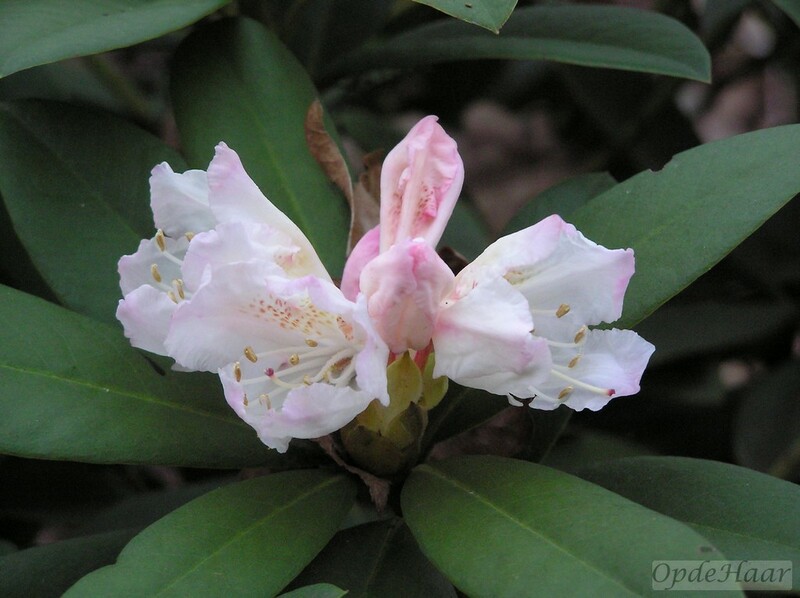 We inherited a fairly large number of large rhododendron hybrids and you will still see plenty of examples of “inner skeletons of bare branches”, which I referred to earlier. 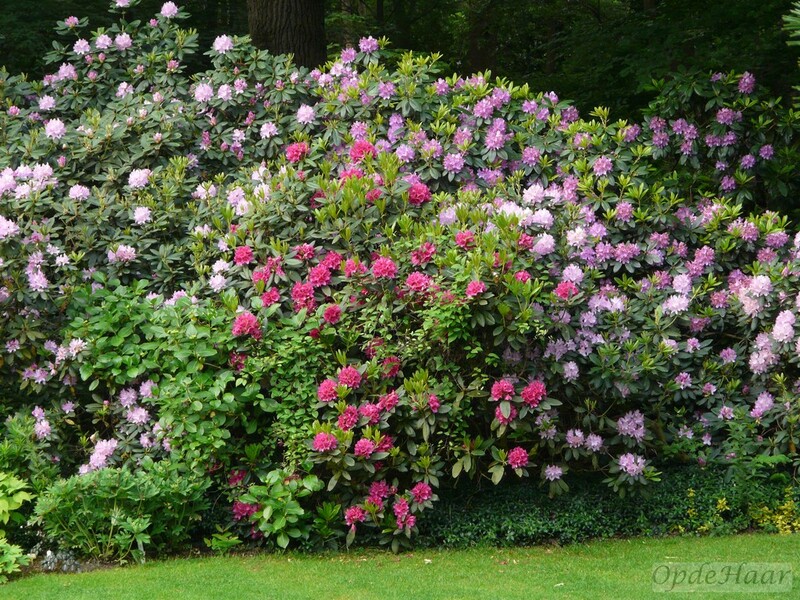 Some of these have a structural function and provide a break to cutting winter winds. 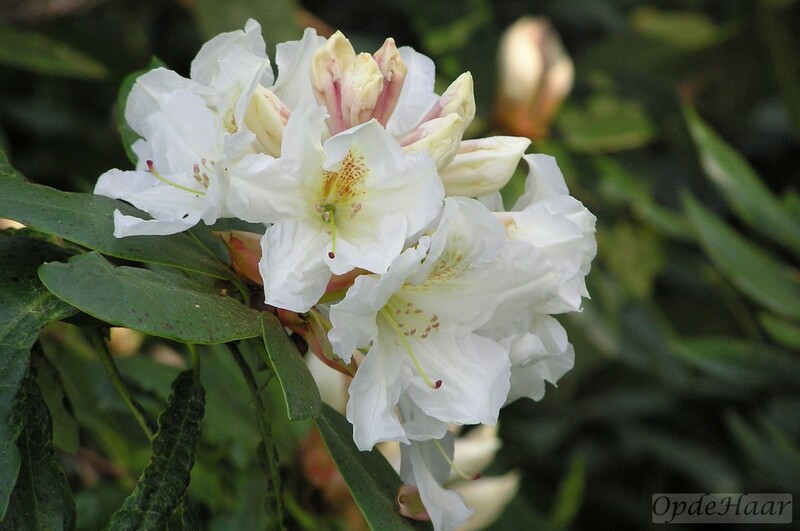 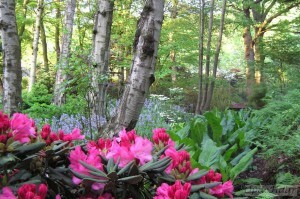 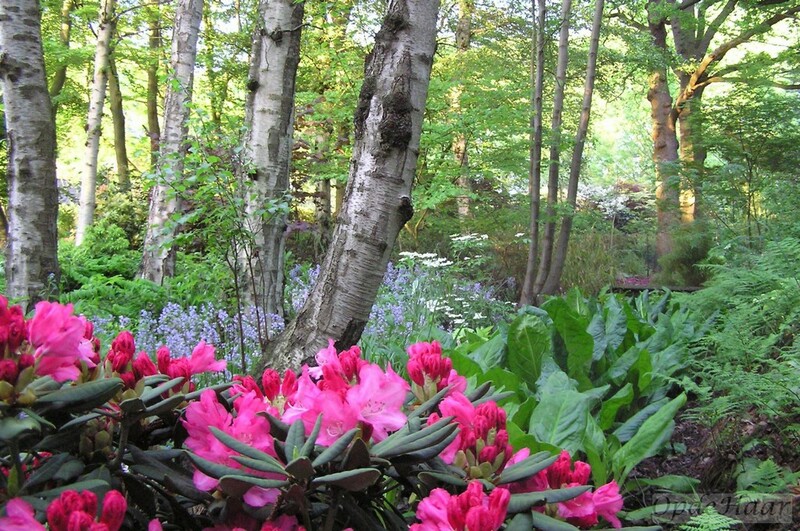 Note, even large rhododendrons have relatively shallow, fibrous root systems and are fairly easy to move. 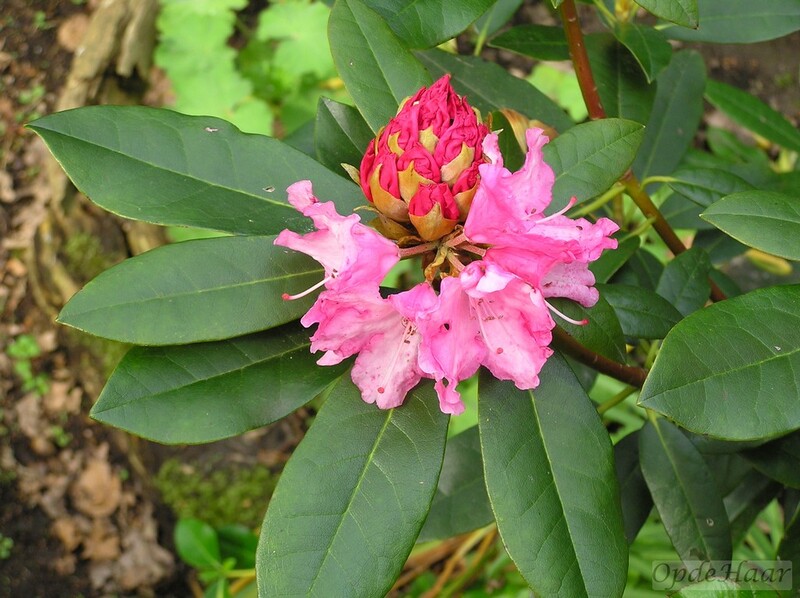 An alternative is to cut them back to bare stems in early spring and they will invariably sprout back to reform more bushy plants – you will miss about 2-3 years of flowers but they will regenerate. 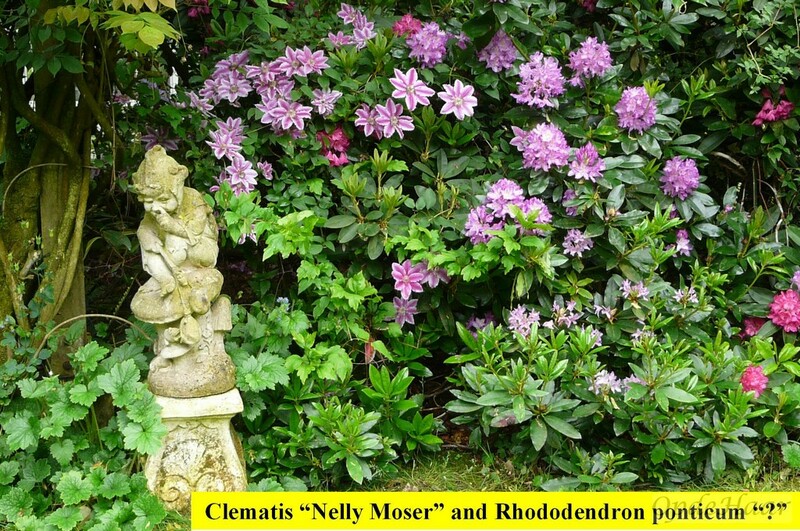 Yet another trick, which my wife exploits almost to excess, is to plant clematis such that they climb through the rhododendrons. 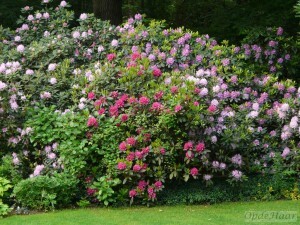 In fact, one can do this with many larger shrubs to add a splash of colour. 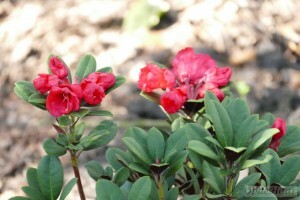 I also saw this done using Tropaeolum speciosum at The Garden House (http://www.thegardenhouse.org.uk/) in UK some years ago and have repeated it here. 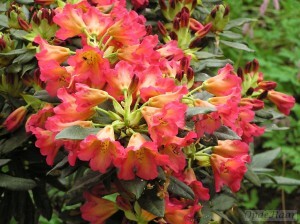 The tropaeolum survives but somehow fails to coat the small-leaved rhododendron that is meant to act as a climbing frame. 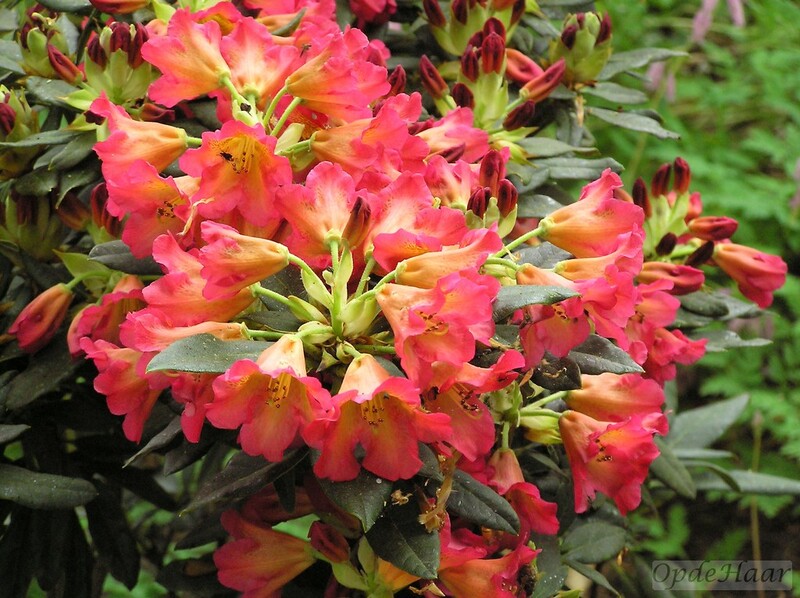 I keep forgetting to try it elsewhere and I also need to propagate the tropaeolum, which isn’t easy. 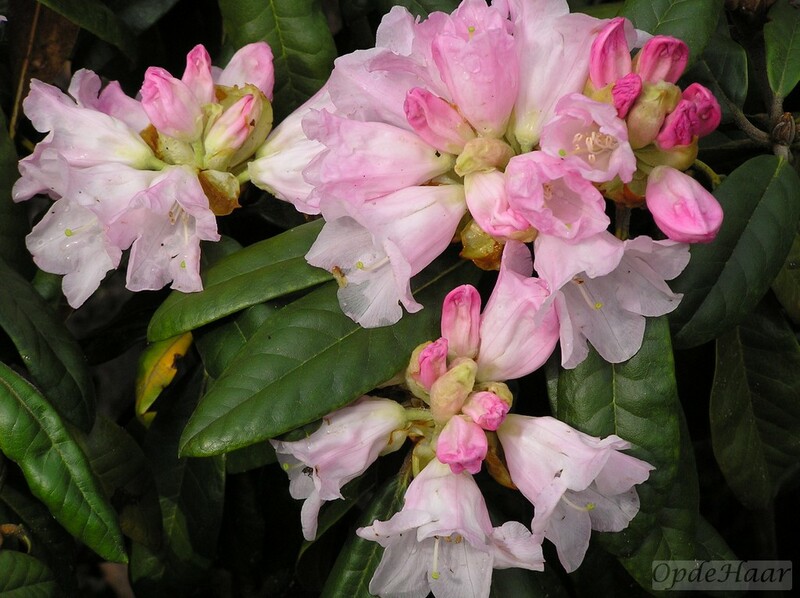 Most of the our winter-hardy rhododendrons have given of their best by the time June arrives but there is one which bides its time for the rhodo fanatics.